All is far from rosy at the Manchester United camp these days. After failing to secure a trophy last season, the club has struggled to make any significant progress in the transfer window too, causing furore among the United faithful. Things went from bad to worse on Saturday, after Liverpool thrashed United 4-1 in a pre-season game in USA, highlighting the clear flaws in the team along with the inexperience of a depleted squad. But manager Jose Mourinho has made a special effort to pick out one of his players after the game in a positive sense. As per Manchester Evening News, Eric Bailly ended up playing in the match when he wasn’t supposed to. It was meant to be Chris Smalling in central defence, but the Englishman picked up an injury during training and was replaced by the Ivory Coast international at the last minute. 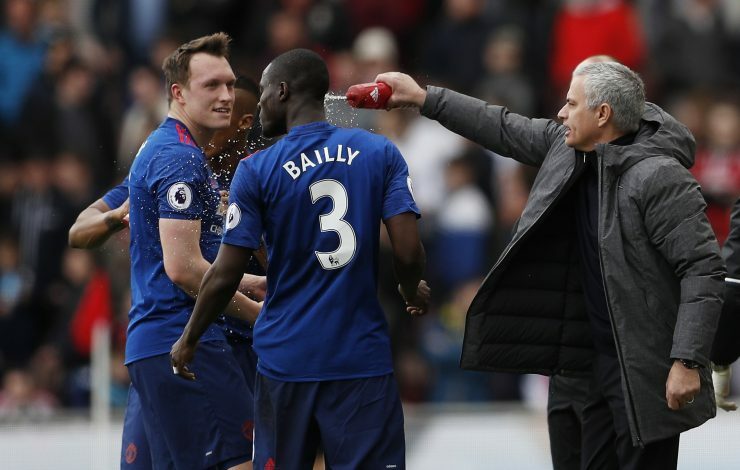 Mourinho lauded Bailly’s character, amid speculation of the latter’s possible departure, by stating: “I don’t think he’s a leader. I don’t think anything goes to change with that. I think he’s a team boy, a great boy, and an honest man, honest to put everything for the team and that is why we still have him and why he is going to stay with us. Bailly was linked with a switch to a few clubs, especially since a defensive overhaul was in the offing at United. But Mourinho has all but confirmed Bailly’s place in the squad now, and it appears as if Marcos Rojo could be the unfortunate man to be released from the squad. With only a few days to go before deadline day arrives, the future of a number of players continues to hang in the balance.